Matt Baker and Alex Jones talk to Sophie Raworth and Joe Swift about the Chelsea Flower Show, to Chris Packham about Springwatch and to Ana Matronic about Eurovision. 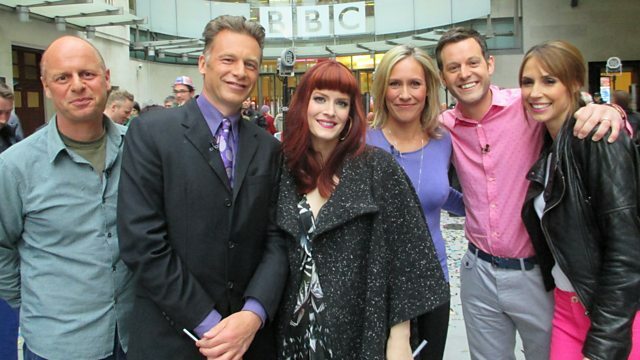 Matt Baker and Alex Jones talk to Sophie Raworth and Joe Swift about the Chelsea Flower Show, to Chris Packham about Springwatch and to Scissor Sister Ana Matronic about Eurovision. Plus two British Eurovision winners come together in a unique supergroup, Brotherhood of Fizz, and there is a reunion of WWII Wrens.